When you’re planning your next vacation, Jackson, MS, has something for the family to delight in throughout the year. Our fantastic destination is known for its historical influence on Southern culture and heritage, scenic byways, wondrous natural sights, and offers the best family weekend getaways in Mississippi. Whether you want to enjoy our stunning outdoors or take a guided tour through our compelling past, you and your loved ones are sure to make the most your time! On your trip, it may be difficult to pick the places you want to explore and things to do. Here at Fairview Inn, to alleviate the planning process for your family weekend getaways in Mississippi, we carefully curated an easy-to-navigate, complimentary Vacation Guide, which provides you with our top choices for area attractions, downtown destinations, and outdoor places to visit. It’s as if you have a virtual tour guide in the palm with helpful information and local insights. You’ll also find a section dedicated to the luxurious accommodations and deluxe amenities at our boutique hotel in Jackson! Here in downtown Jackson, MS, and the surrounding areas, you’ll discover a myriad of wonderful things to do on the many family weekend getaways in Mississippi. Here are our favorite activities to bring you closer to our local culture. We hope you enjoy them as much as we do! Mississippi Museum of Natural Science boasts some of the most fantastic natural wonders in the Deep South. As you peruse the various displays, you’ll see an assortment of native wildlife and plant life of the Magnolia State. Once you’ve toured the inside, walk on six nature trails and enjoy a sunny day at one of the best museums in Jackson! The Natchez Trace Parkway is perhaps the most stunning scenic byways in Mississippi. This 444-mile stretch of highway winds through Jackson and offers easy access to the many wonderful things to do in Natchez, MS. Just off this acclaimed route, you’ll walk where historical figures such as Meriwether Lewis and Andrew Jackson once traveled. Wherever you decide to stop, bring your camera to capture this wonderful place – it’s exceptionally beautiful in the fall! On family weekend getaways in Mississippi, this beloved attraction is one of the popular places to explore in downtown. 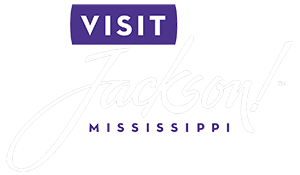 As you walk around the Mississippi Governor’s Mansion, you’ll be taken back through the Civil War legacy of Jackson on your guided tour and see just how saturated with Jackson history this vacation spot is. Book your experience today before someone purchases the last ticket. Mississippi State Capitol sits on the National Register of Historic Places and is also called the Old Mississippi State Capitol Museum. This remarkable exhibit hall offers a unique perspective on the role of Jackson in Southern history. It’s also around the Governor’s Mansion, and many of our guests visit both of these places in the same day. Walk through the sidewalks of the Jackson Zoo to delight in the beautiful creatures. In addition to the assortment of animals, you’ll find enriching activities and annual events. This wonderful attraction affords you the opportunity to become educated on the Zoo’s renowned conservation efforts. You’re sure to have an incredible time! Throughout the year, there are many captivating annual events to add onto family weekend getaways in Mississippi. Each of these seasonal celebrations is designed to bring you closer to our local culture. Here are some of the best extravaganzas to enjoy this year! The Mississippi Petrified Forest is open all year with the exception of major holidays like Thanksgiving and Christmas. This natural wonder in the Magnolia State provides you the unique chance to see the natural allure of our area. Walk down the Nature Trail to view the remnants of trees, which are fossilized over time by a once raging river. You’ll also see various flora and fauna, handmade gems, and a delightful museum. Get your tickets today! When you make your decision to make family weekend getaways in Mississippi, you’ll need a comfortable place to unwind. Here at Fairview Inn, we offer a lavish selection of beautifully appointed accommodations. Each of these relaxing retreats is the ideal home-away-from-home for you and your loved one this year with an abundance of natural light, ample amount of space, and comfortable bedding. If you need a place to refuel after your daily adventures, reserve your table at 1908 Provisions. Our on-site restaurant offers a wonderful menu of gourmet cuisine, a selection of craft beer, wine, and cocktails for adults, and an inviting ambiance. With so many wonderful things to do and ways to relax, why wait any longer to plan your vacation? Book your next trip to the Fairview Inn this year!